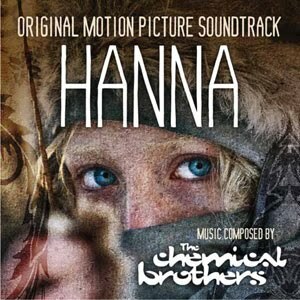 The soundtrack of Hanna will be released on March 15, 2011. We just got home from seeing the movie. Very awesome! Now I’m trying to find the music online to listen to while I clean house! If I’m not mistaken, the name of the track is actually Escape Wavefold, not Escape 700. Thanks for posting the great clips! one of those movies that enter your soul and sticks there. i wish it wouldn’t have come to an end. AWESOME flickr plus awesome soundtrack. the movie and the soundtracks are awesome hanna is the best movie ever! Not my type of music but i want to sample some of the scenes to make some beats. Someone know the name of the song they are dancing to in the campingvan when Hanna is hiding in it? What a combination of tracks, I just love it. Can anybody tell me what the title of classic music is (when Mr Grimm makes her listen to music)? do you mean this song? In the Hall of the Mountain King (Peer Gynt) by Edvard Grieg ? someone knows the name of the song playing at the end of the movie, just after appearing in red HANNA? The one the blonde guy whistles is called the devils in the details by chemical brothers. Awesome movie and soundtrack loveeeee it especially that song just sticks with ya. loved it! had to find this soundtrack! have always loved chemical brothers!! Francesca, do you mean “The Devil Is In The Beats”? Does anyone know any information regarding the gypsy song? what was that song that Mr. Grimm was dancing to in the kitchen before the bad guys came? I think it was Tchaikovsky but I’m not positive. Please help! The song Mr. Grimm plays on the radio for Hannah is Tchaikovsky – Swan Lake Suite – VII. Finale. The soundtrack to this movie stood out like a sore thumb! It was distracting and often times I was wondering it the composer was even watching the same movie that I was watching! The bad (really bad) “music” ruined the movie experience for me and at one point I wanted to hit the mute button so I could enjoy the show! I just wanted to know the song at the end parT , @HBO I love it !! but unfortunately,I don’t know the title. can enyone heLp me about this? I thought it was Dance of the Sugar Plum fairy (Nutcracker Suite)? At some point in the movie anyway. Saw for first time last night, loved it!